These Fourth of July acrostics printables are great for classroom or home. 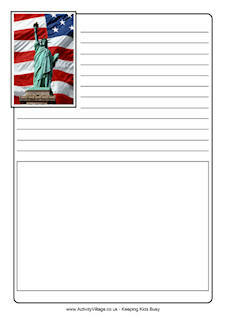 We have printables based on "Flag", "Fourth" and "Fireworks" and "Rocket" to suit all ages. Our bonfire acrostic poem printable would make a lovely classroom display for Bonfire Night or Fourth of July. We have four versions to choose from: ruled and unruled, with or without graphic. This rocket acrostic is perfect for Fourth of July, with its red white and blue theme, but also useful for Fireworks Day, perhaps. Here is a simple Rocket Acrostic Poem printable which makes writing the poem a lot more fun! We have a generic red rocket, and a red white and blue version that is particularly appropriate for Fourth of July. Chose from one of four versions of our sparkler acrostic poem printable on which to display your poem about everyone's favourite firework!